This Saturday was one of the most nerve-racking days that I can recall. I ran for a seat on Langley City Council during the November 2014 general election, but missed out by 71 votes. I did not want a repeat of 2014. 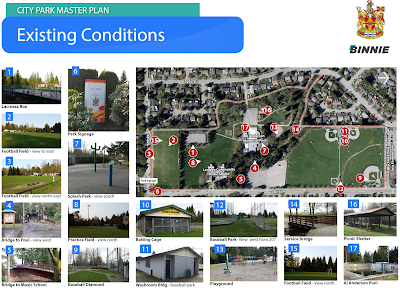 I believed that people in Langley City shared my vision for a community that got the basics right such as improving and building sidewalks, enhancing lighting, improving safety in parks, and using good urban design. They just didn’t get a chance to hear about what I stood for. With the help of an extremely dedicated group of volunteers, we were able to get that message out. I couldn’t have run this successful election campaign without them. 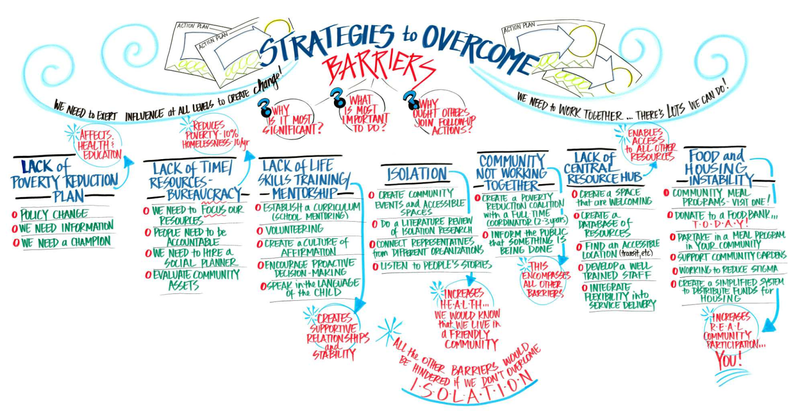 People in Langley City voted for simple solutions and fresh ideas at the Langley City Council table. Here are the preliminary results from the City of Langley’s website. Once the results are made official and I take an oath of office, I will become Langley City’s newest and youngest Councillor. Posting on this blog will be a little sporadic over the next week. 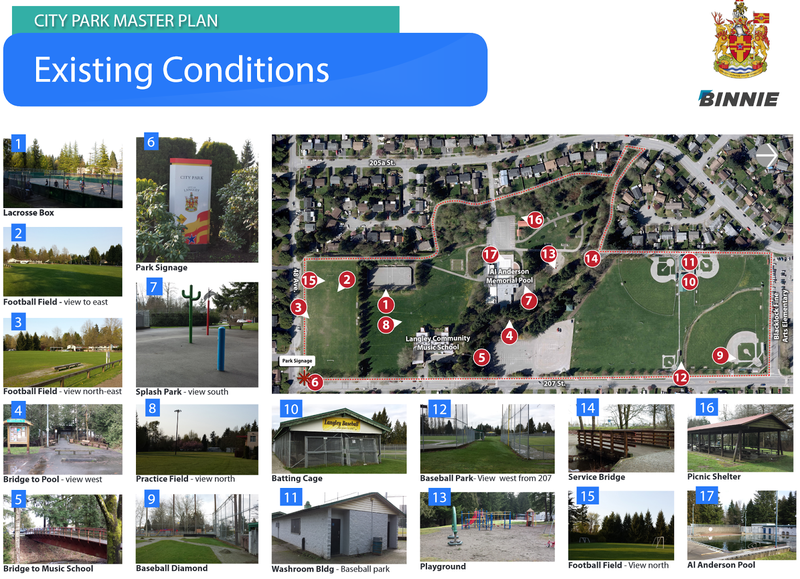 During the campaign, I put forward a set of solutions to make Langley City a better community. 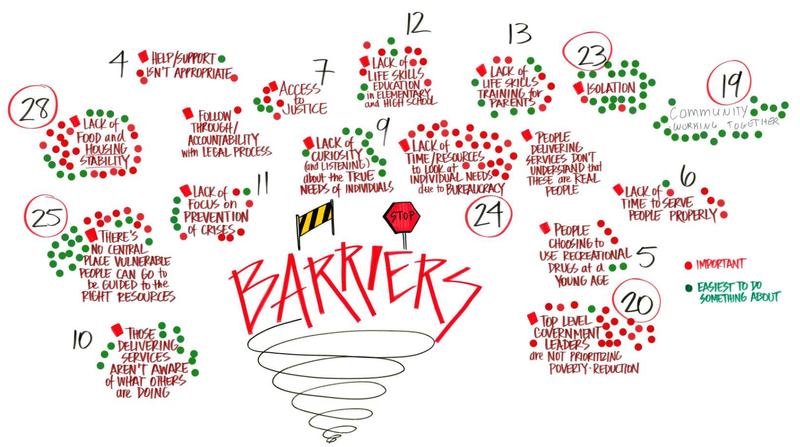 I will be compiling these solutions on this blog, and will post up a page shortly. I plan to update this page throughout my term on Council, so people can keep track of the progress made toward implementing these solutions. Going forward, I plan on writing regular council meeting updates. Beside these council updates, there will be no change to the cadence or topics covered on this blog. Thank you to everyone that supported me before and during the campaign. I will work hard to make Langley City the best community it can be for everyone that calls it home. As you are likely aware, I’ve been running for a seat on Langley City Council since the beginning of January. Saturday, February 27th is Election Day, and the polling station will be open from 8am until 8pm. You can also vote today from 8am until 8pm. If you need a ride to the polling station on Saturday, please give me a call at 778-288-8720. I’ll be there from 9am until we know the results of the by-election which will be between 8pm and 9pm. A few weeks ago, I posted about some of the accessibility issues caused by the on-going construction of the new Timms Community Centre. For example if you have limited-mobility and need to use the ramp at City Hall/Library, you will have a hard time. Langley City Hall access ramp on Sunday. Select image to enlarge. 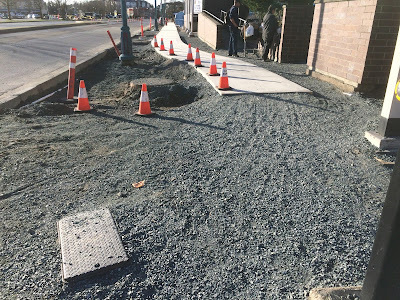 When the construction of the new sidewalks along Douglas Crescent, 204th Street, and Fraser Highway are complete, there will be some accessibility enhancements as the City is using concrete for the centre strip of the sidewalk instead of using all pavers, but there are some things that the City has done which will actually make it harder to use the sidewalks in the area. In order to ensure that all people can use a sidewalk, the absolute minimum obstruction-free width should be 1.5 meters. This means that utility poles, light fixtures, street furniture, bus stops, and traffic lights should be clear of the 1.5 meter zone. 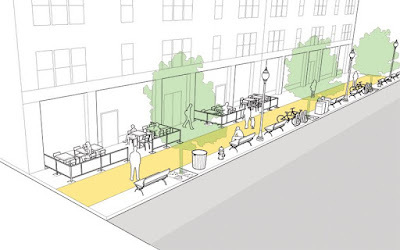 The following picture is an example showing this from the Urban Street Design Guide. TransLink has Universally Accessible Bus Stop Design Guidelines which also make similar recommendations about the obstruction-free width requirements for sidewalks. Standard bus stop recommended configuration from TransLink's Universally Accessible Bus Stop Design Guideline. Select image to enlarge. I was walking along Douglas Crescent yesterday, and noticed that the City of Langley has put the base of a new traffic light for Timms and the Langley Mall right in the middle of the sidewalk on Douglas Crescent. Traffic light base in the middle of the sidewalk. 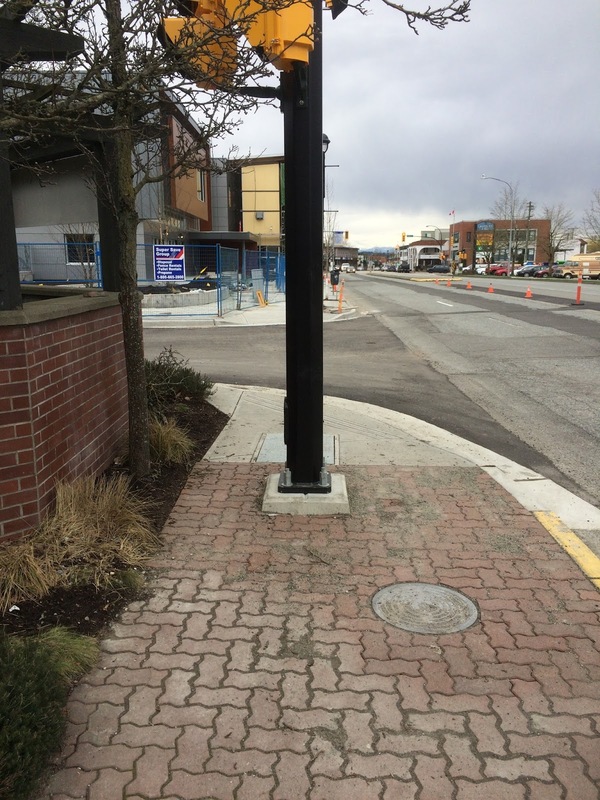 In a city like Langley which has a large concentration of people will limited-mobile in the Downtown core, accessible sidewalk design should not be an afterthought. The provincial government is being aggressive with its timetable to get the Massey Tunnel replacement project under construction. Because the replacement bridge and Highway 99 expansion project is a large, the provincial government needs to seek feedback from people and organizations in the region. This project will have a profound effect on our region, and Metro Vancouver staff have questions and concerns about the project. The provincial government only gave a little over a month for feedback on the Project Definition Report which forms the justification for whole tunnel replacement/highway expansion program. 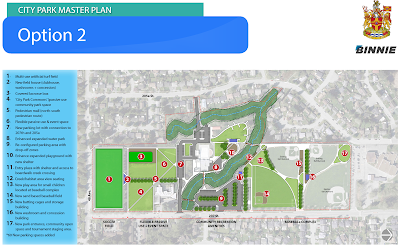 Metro Vancouver staff have noted that the public consultation period is short, and have requested that the province extended the comment period to April to allow time to properly review the project planning documents. Besides the impact the project will have on the region, it will also have a direct impact on the regional district’s assets. Metro Vancouver assets around Massey Tunnel replacement bridge site. Select image to enlarge. How much traffic will be diverted to the Alex Fraser Bridge? How will the Tsawwassen First Nations regional shopping centres impact traffic along the Highway 99 corridor? What changes will occur with congestion on the Alex Fraser, Oak Street, Knight Street, and Queensborough bridges? How will transportation-related greenhouse gas emission change? How does this project fit in with the regional growth strategy and Mayors’ Vision for Regional Transportation? Will the province update its tolling policy? What impact will the 10-lane bridge have on the rate of urban development, and pressure to develop agricultural lands. What impact will the project have on air quality in the region? How will the project reduce the exposure of air pollutants for people walking or cycling across the bridge? Are climate change impacts considered in the bridge design and restoration projects? Will the province consider a Health Impact Assessment to fully account for the health outcome changes that will occur due to this project? How much agricultural land will be needed for this construction of the project? What impact will this project have on farming? What changes will happen to the Deas Island Park trails, and how will those changes be integrate into a regional trail network? What habitat will be created/destroyed/restored as part of the project? How will the park's visitor experience change during and after the construction of the bridge? 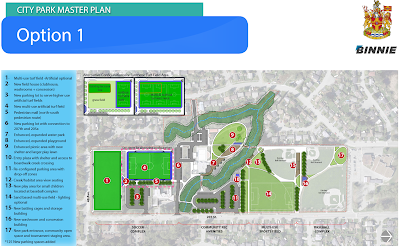 How does the project support the Experience the Fraser Concept Plan? Will the provincial government be using Deas Island Regional Park for access during and after construction of the new bridge? 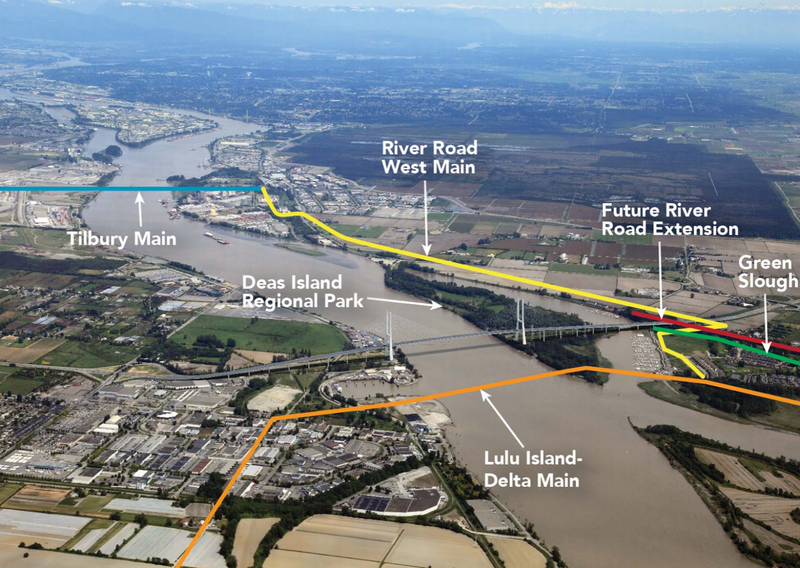 How will Metro Vancouver be able to access the Lulu Island-Delta Main? How will the project impact the River Road West Main and Lulu Island-Delta Main water lines? The Massey Tunnel replacement project, and associated highway expansion, will have major impacts on the region. Instead of trying to ram the project through, the province should take the time to understand both the positive and negative changes that will happen in Metro Vancouver as a result of the project. 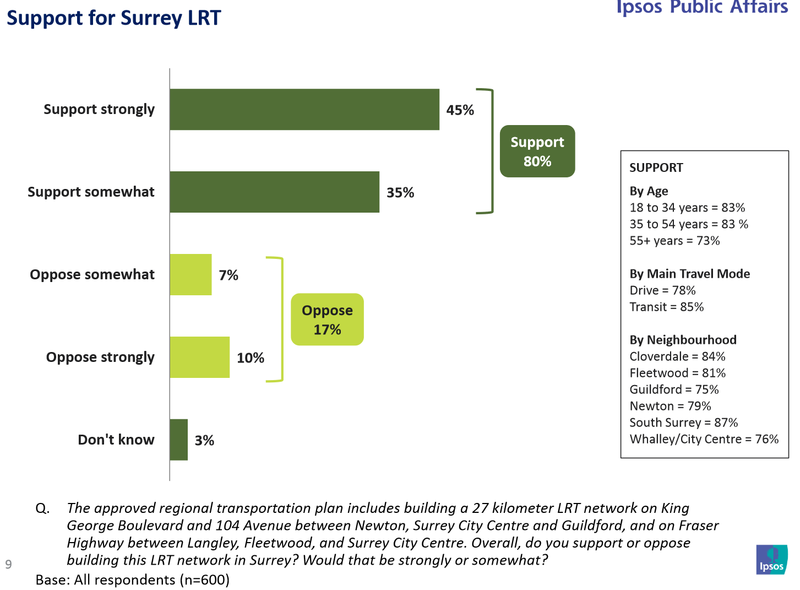 The City of Surrey recently commissioned Ipsos to conduct a poll to find out what people in that community think about light rail. 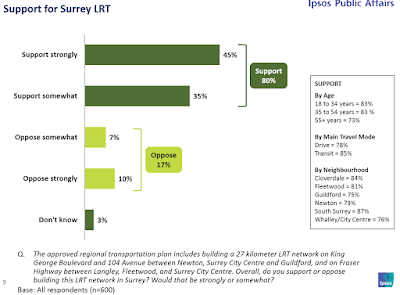 The poll found that 80% of Surrey residents support building light rail in the South of Fraser. When asked what the biggest benefits of building light rail in Surrey are, the poll respondents said that it would increase the convenience and efficiency of getting around, reduce traffic congestion, and improve accessibility. Building and improving public transit service has always been popular in Metro Vancouver; this poll isn’t too surprising. 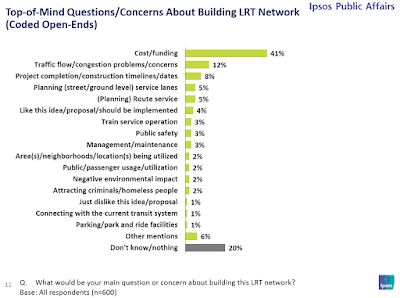 The problem with public transit in our region is that no one seems to want to pay for it. 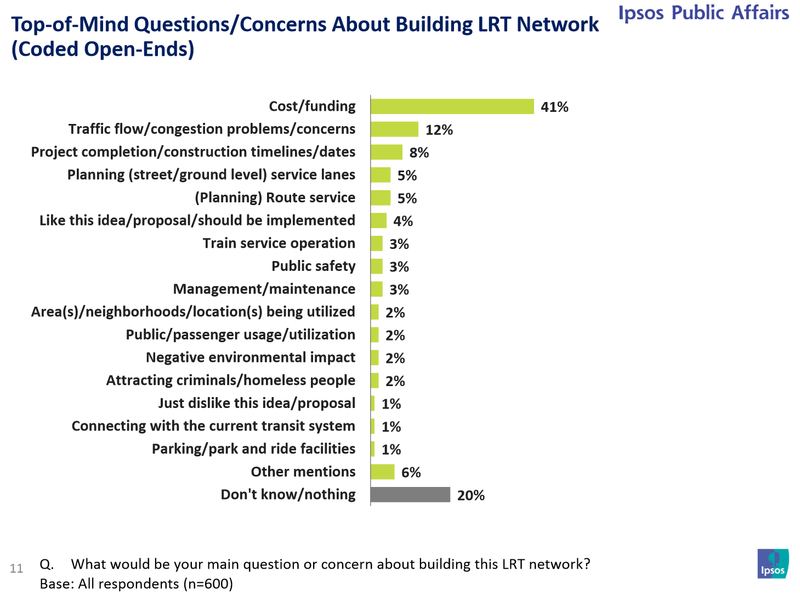 When Ipsos asked the poll participant what their top concerns were around building light rail, 41% cited cost/funding. 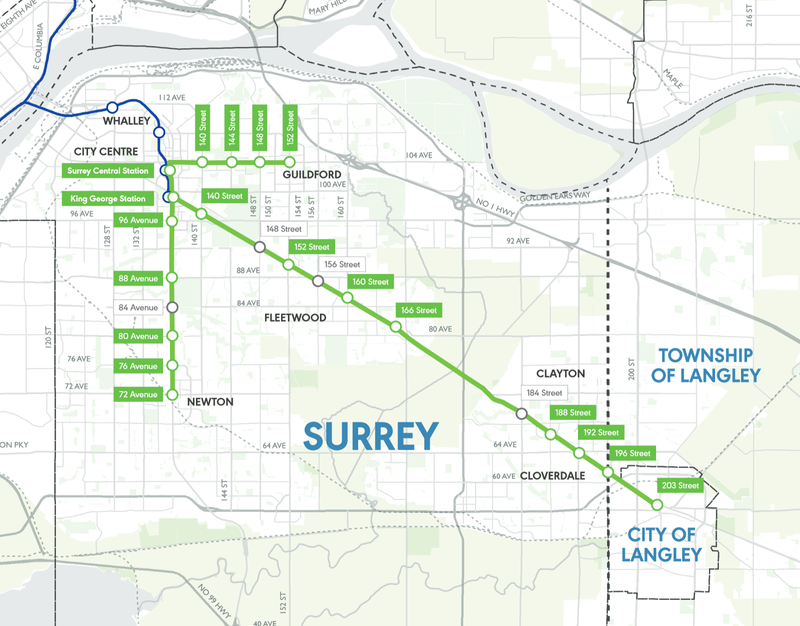 The federal government has said that it supports Surrey’s light rail plans, and will be increasing the share of money it contributes to each public transit project that it funds. The federal government is willing to pay a greater share of the cost of building light rail in the South of Fraser, and the vast majority of Surrey residents want light rail. Will the province come to the table, and break the funding deadlock around transit in Metro Vancouver? Earlier this month, I posted about the City of Langley’s 2016-2020 Financial Plan. I noted in that post that because of how the property taxation system works in BC, people owning apartments are likely to see a property tax decrease while people owning single-family houses are likely to see a property tax increase. In BC, local governments apply different tax rates to the nine property classifications defined by the provincial government. The property tax you pay is the value of your property as defined by the BC Assessment Authority, divided by 1,000, then multiplied by the tax rate for your property classification. The challenge with this is that there is only a single rate for all residential property types. The value of a typical apartment in Langley has gone down by 20% while the value of a single-family house has increase by 17% over the last 5 years. While an apartment owner should pay lower property tax than a single-family house owner, having some people’s property tax going up while other people’s property tax going down creates challenges around equity. Some people have suggested the current single residential tax rate is good as it captures the value of massive property value increases. If people’s property values rise, but income doesn't, this idea doesn’t really work. Capturing windfall property value increases is better handled with changing the current property transfer tax legislation. Because the values of single-family housing, townhouses, and apartments change at different rates, local government should be able to apply different tax rates to these different residential property types. This currently isn’t permitted under provincial legislation. THEREFORE BE IT RESOLVED that the Province of British Columbia amend the BC Assessment Act and the Community Charter to allow the residential class to be split into two distinct residential classes so that a different rate may be applied to each type of residential property to more equitably share the tax burden between the single family residential properties and the multifamily residential strata properties. If this resolution passes at the next UBCM conference, it will be interesting to see the province's response. Last May, I posted about a Metro Vancouver report that looked at the distribution of office space around the region. One of the areas that the report looked at was the location of new development in relation to frequent transit service. When the original report was presented last year, there was a desire by people on the Metro Vancouver board to get more detailed information about office space in our region. This included looking at the different types and sizes of office development, and how they related to urban centres and the frequent transit network. People also wanted to know if certain types of office space tenants were drawn to certain styles of development, and areas in the region. One of the trends noted in the updated report is that “between 1990 and 2014, approximately 61% of new office space was located within 800 metres (10 minute walk) of rapid transit, and an additional 22% was located within 400 metres (5 minute walk) of bus service on the Frequent Transit Network (FTN).” 83% of all office space built in the last few decades is near high-quality transit service. The following map shows the distribution of all office space in Metro Vancouver. The map also shows the size of these office spaces. The Carvolth area in the Township of Langley has a high concentration of office space located by a busy Park and Ride along Highway 1. This is also one of the few areas where there is a large amount of office space with no frequent transit service. All office space in Metro Vancouver. Select map to enlarge. The next map shows where new office space has been built between 2010 and 2014. With the exception of Carvolth and South Surrey, there is a clear alignment between rapid transit and new office space. Office space built in Metro Vancouver between 2010 and 2014. Select map to enlarge. 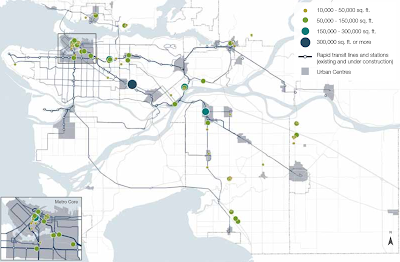 Locating office space in urban centres and along frequent transit corridors is a key policy priority for Metro Vancouver. It appears that our region has been relatively successful in this regard though more work needs to be done in the South of Fraser. 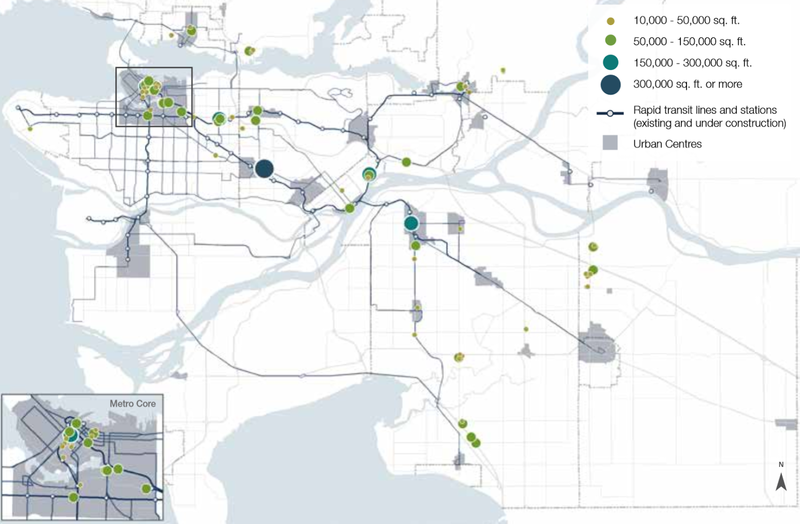 The problem isn’t actually the location of most office space in the South of Fraser, but the lack of funding to provide transit services to these locations. For example, frequent transit along the 200th Street corridor is a priority in the unfunded Mayors' Transportation Plan, and would service the offices in the Carvolth area. With properly funded transit, our region would meet its goal of locating pretty much all office space near high-quality transit service. Yesterday, TransLink officially announced that it hired a new CEO. Kevin Desmond is currently the General Manager of King County Metro Transit. TransLink posted information about the announcement and Desmond on the Buzzer Blog. I was chatting on Global BC1 about TransLink’s new CEO, and what that could mean for transportation in Metro Vancouver. One of the things that I mentioned in the interview was the mini state of the union addresses Kevin Desmond did as the manager of King County Metro Transit. You can view those updates on Metro Transit’s website. It will be interesting to see how Desmond plans to turn-around TransLink’s poor public image, and resolve the funding impasse between the provincial and local governments in our region. Hopefully he will do better than the last American CEO we had, Tom Prendergast, who lasted a little over a year at TransLink. The agenda will consist of each candidate giving a three minute campaign speech, two minutes of questions from the audience, then networking with the audience while enjoying coffee. Over the last month, the sidewalks around Langley City Hall have been in various states of construction. As part of the new Timms Community Centre project, the sidewalks near the facility along Fraser Highway, Douglas Crescent, 204th Street, and 56 Avenue are being replaced. Once the sidewalk construction is complete, accessibility will be enhanced due to better designed sidewalks. Right now, it is a challenge for people with limit mobility to get around this area. I’ve been out canvasing in Langley City neighbourhoods for the upcoming by-election, and have heard from people with limited mobility that accessing City Hall and the Library is currently a challenge. I've also heard this from a friend with limited mobility as well. One of the stories I heard was that the accessible ramp was available in the morning when someone went to visit the library, but was blocked off later in the day due to construction work. This person had to wait around until the ramp was reopened. Another person told me that they almost tipped over on the gravel. Loose gravel, pylons, and non-level surfaces can make it a challenge for people to navigate an area who have limited mobility. The accessible ramp to City Hall/Library is located where the people hanging around the shopping cart are. Select image to enlarge. 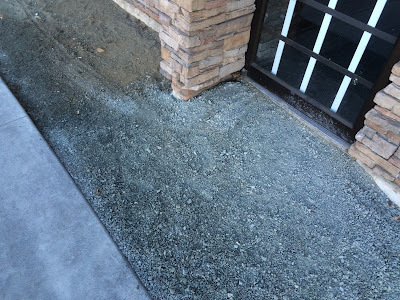 Gravel and non-level surfaces make it tricky to access this business. Select image to enlarge. Maintaining access to any facility during construction can be a challenges, and maintaining accessible access can be even more challenging. When it comes to the library and City Hall, maintaining accessible access is a must. The library is one of the few indoor public spaces available in Downtown Langley. Likewise, it is important that anyone be able to access City Hall. Having an accessibility plan during the construction/renovation of an existing facility is critical. For example during the reconstruction of the Main Street SkyTrain station, accessible street to platform access was maintained. 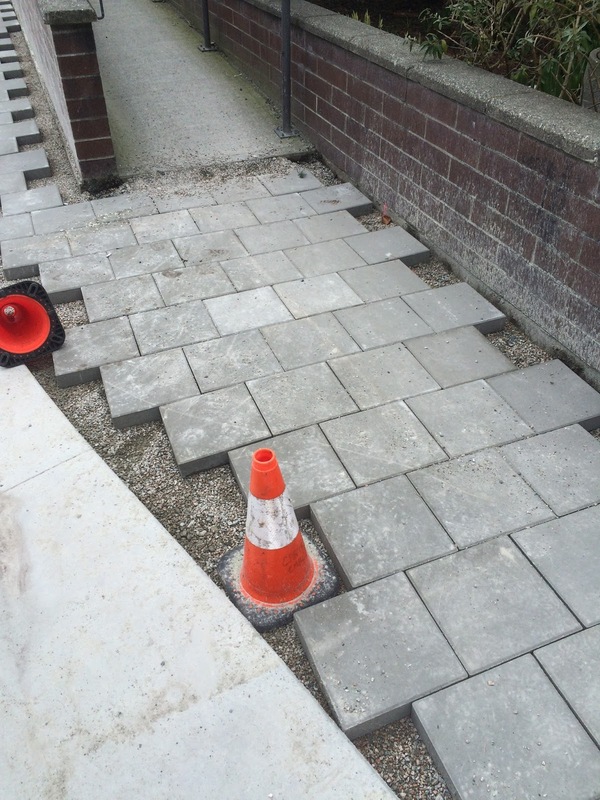 During a recent renovation of the Central City Shopping Centre, there was a clearly marked accessible access route. Maintaining accessible access to public facilities is critical if we want to build a community where everyone is included. Last fall, the City of Langley received $2.9 million from the provincial and federal governments to upgrade the 203rd Street Bridge over the Nicomekl River. The project also includes replacing the traffic light at 203rd Street and 53rd Avenue with a roundabout. The total project cost is budgeted at $5.6 million. The project's scope is 203rd Street between Grade Crescent and Michaud Crescent. The City's preliminary concept included unprotected shoulder bike lanes, plus 2.5 metre sidewalks on both sides of the roads which they call multi-use paths. 203rd Street has a wide right-of-way which currently creates a challenge for people that live along that corridor. Wide roads send a signal to people to drive fast. Speeding along 203rd Street is common, and it is impacting the quality of life for people that live on that corridor. There are near-misses when backing out of driveways, near-missing when using crosswalks, and the inability of people with mobility-assistance devices to use sidewalks along the 203rd Street corridor. Wide, safe pedestrian-only sidewalks and protected bike lanes are the only way to promote activity transportation along a corridor like 203rd Street. As I posted about in the fall, 203rd Street is a key multimodal corridor for Langley as it connects to the Township of Langley’s cycling and trail network, Downtown Langley, the Nicomekl Floodplain Trail System, the Power Line Trail System. The City of Langley has a once in a lifetime opportunity to make walking, cycling, and driving safer, plus enhance the quality of life for people that live along 203rd. This is why the Park and Environment committee passed a motion last fall asking for protected bike lanes to be integrated into the 203rd Street corridor project. I spent some time working on a concept that would fit within the 203rd Street right-of-way, and would create a 203rd Street that would address the needs of residents and all roads users. 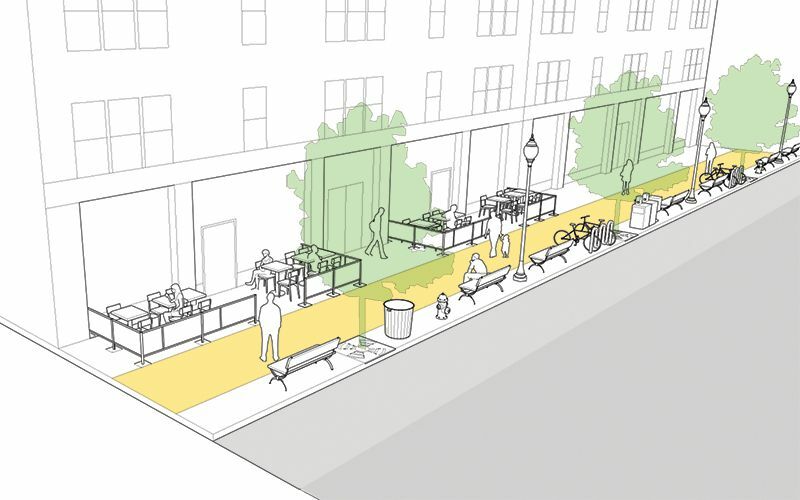 An example cross-section of 203rd Street that would serve all road users while improving the quality of life for people that live along the corridor. Select image to enlarge. While I don’t expect this to be the final design, it is meant to show what is possible. Hopefully the City has an updated design concept that will create a safe, multimodal 203rd Street corridor. Who wants to pay for improving transit in Metro Vancouver? The majority of people in Metro Vancouver want to see improved transit service, but currently do not want to pay for improving transit service. This really comes as no surprise as people have been told by the provincial government multiply times that TransLink is an inefficient, ineffective bureaucracy. Since the failure of the transit plebiscite, little has been done to address the concerns people have about how TransLink operates. Until more people feel that TransLink is a well-run organization, you will have a hard time convincing people to pay higher taxes to TransLink. These results aren’t surprising. For context, 38.1% of people in Metro Vancouver supported the Mayors’ Transportation Plan which was to be funded by a 0.5% PST increase. Increasing tolling and sales tax to pay for transit improvements has stronger support than increasing property taxes, yet the provincial government has insisted that municipalities jack up property tax to pay for transit. Something which municipalities would never do because it is so unpopular. It’s almost like the province doesn’t want any more money to be invested into transit service. There is another option to pay for transit improvements, though it is highly unlikely that the current provincial government would do this. The province could provide an operating grant for transit service in Metro Vancouver like it used to do, and current does, for every other part of this province. Maybe the federal government’s willingness to dump billions of dollars into public transit will cause the province to get serious about transit. Though I’m not holding my breath that this decade’s long impasse around transit funding will come to an end anytime soon. While some people may not believe it, Metro Vancouver has a governance model that is looked at throughout the world as the gold-standard of how municipalities can work together. In our region, municipalities are responsible for the delivery of local service, but work together to tackle challenges that require scale or are regional in nature. If you want to see what level of government is responsible for the delivery of services that you receive, I suggest you check out the Government Service Delivery in Metro Vancouver infographic on this blog. Because of the geography of our region, and the high-cost of providing clean drinking water, one of the first areas where municipal governments started working together was around water. As an example, it cost around $800 million to build the Seymour-Capilano Filtration project. No municipal government could afford to do that on their own. The Metro Vancouver municipalities that don’t receive Metro Vancouver water are Bowen Island Municipality and Lions Bay (for obvious reasons), Tsawwassen First Nation (which is in the process of connecting into the Metro Vancouver water system), and White Rock. For historical reasons, White Rock never connected to the Metro Vancouver water system. The City relied on well water from Sunnyside Uplands aquifer which was provided by private companies. The most recent company was EPCOR which is owned by the City of Edmonton. Unfortunately, White Rock’s water supply became contamination in 2010. In the aftermath of the contamination incident, Fraser Health ordered that EPCOR had to chlorinate the system by June 30, 2016. Beside the contamination incident, the Sunnyside Uplands aquifer also has arsenic and manganese levels that are approaching the limits set out in Health Canada’s Guidelines for Canadian Drinking Water Quality. Many people in White Rock started questioning the sanity of having a private water system. 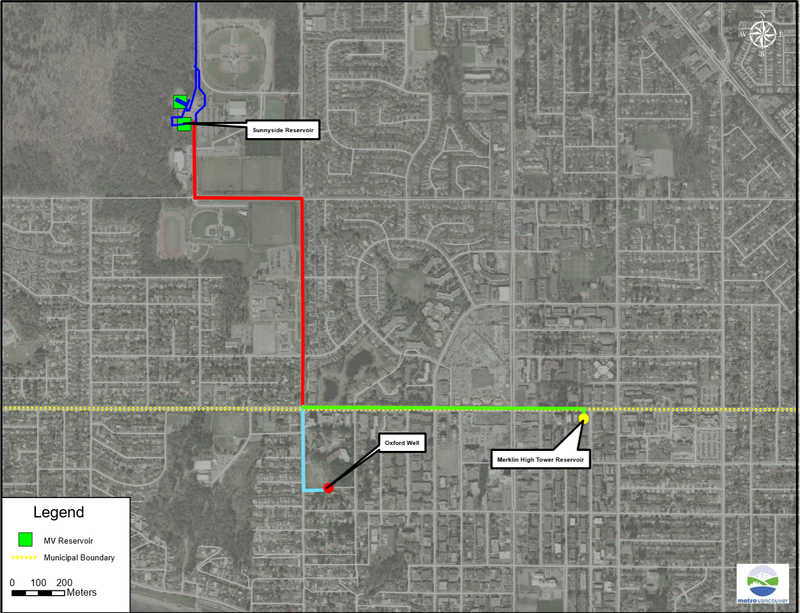 Recently released documents reveal that White Rock was looking at connecting to the Metro Vancouver Water System as far back as 2013. The estimated cost at the time was $25 million. Proposed plan to connect White Rock to Metro Vancouver's water system. Select image to enlarge. The City of White Rock recently bought-out the EPCOR water system for an undisclosed amount of money. Metro Vancouver documents suggest they paid at least $14.3 million for the local water utility. White Rock’s water supply is now back in public hands. 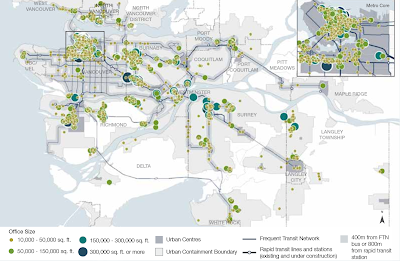 I’m sure the municipality will be connecting into the Metro Vancouver system in the near future because it is the only cost-effective way to provide clean drinking water to its residents. The saga of White Rock’s water system is a cautionary tale of the cost of a go-it-alone approach to providing municipal services when regional services are available. City of Langley Council is in the process of approving the 2016 Financial Plan. Last week, I posted about select infrastructure improvement projects that Council was considering. Overall, City of Langley Council is proposing a budget which will require an additional 3.75% increase in revenue. Policing is the single largest expense in the City’s budget. City Council is proposing to hire a new RCMP member this year. Due to this new hire, combined with general pay increases for current RCMP members, the policing budget in the City may be increasing by $427,340. Put another way, 27% of this year’s budget increase is due to policing costs. Due to labour contracts for municipal staff (including the fire department), City Council is proposing to allocate an additional $207,175 to employee wages and benefits. The new Timms Community Centre requires more staff and increased maintenance than the current facility. City Council is proposing a budget increase of $183,165 for the new Timms. Some of the other proposed expenditure increases are for improving the maintenance of our parks system. For example, City Council is proposing to increase the trail and sports field maintenance budget by $67,220. More details on the proposed spending increases can be found in the draft 2016 – 2020 Financial Plan. So what does this mean for the average taxpayer in the City of Langley? If you live in a single-family home, you’ll likely see a $48 increase in your property tax bill that goes to the City. If you live in a strata, you’ll likely see a $40 decrease in your property tax. If you own a business property, you’ll likely see a $800 increase in your property tax bill. Due to how property taxation works in BC, all residential property is treated the same. The really doesn’t make sense. For example in Langley City, the average value of a single-family house has gone up around 11.75% while the average strata has gone up by around 2.25%. Because the City can only apply one tax rate to all residential property, you can get in the situation of some people seeing a property tax decrease while others see an increase. This happens in other municipalities throughout BC. The provincial government would have to increase the granularity of property classes to avoid this. I don’t see the province doing this anytime soon. If you want to provide feedback on the 2016 Financial Plan, the City is having a public hearing starting at 7pm in Council Chambers tonight.